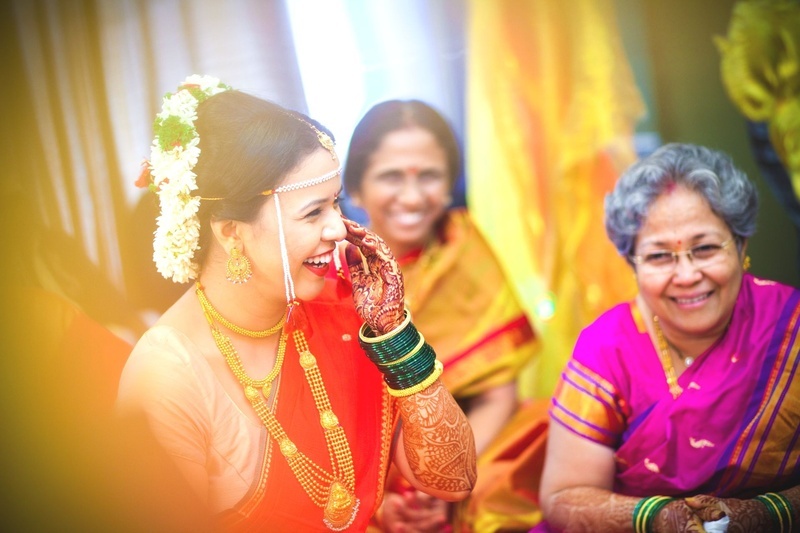 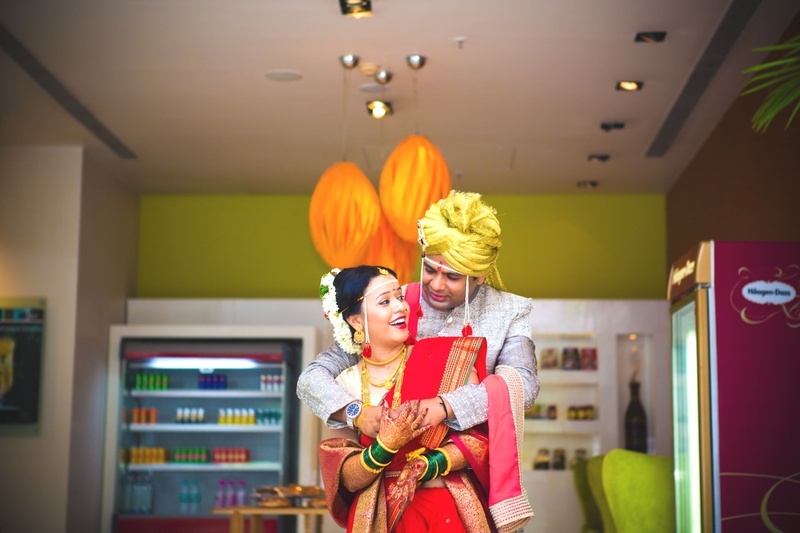 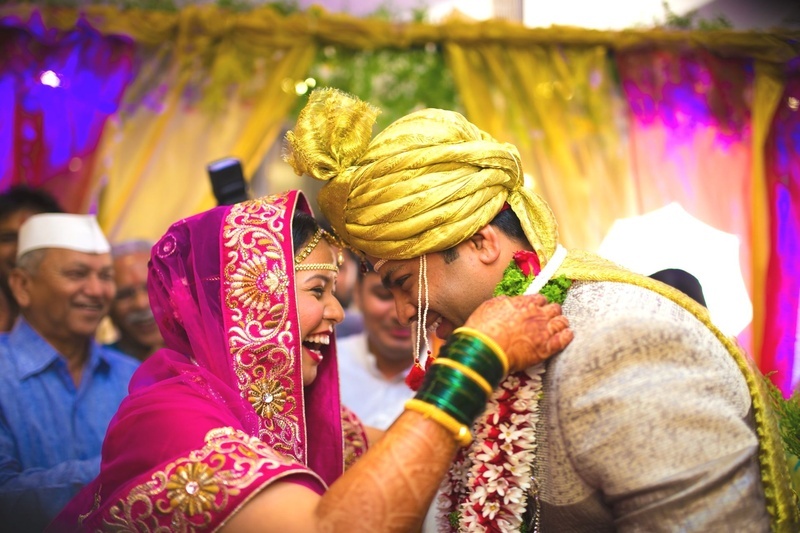 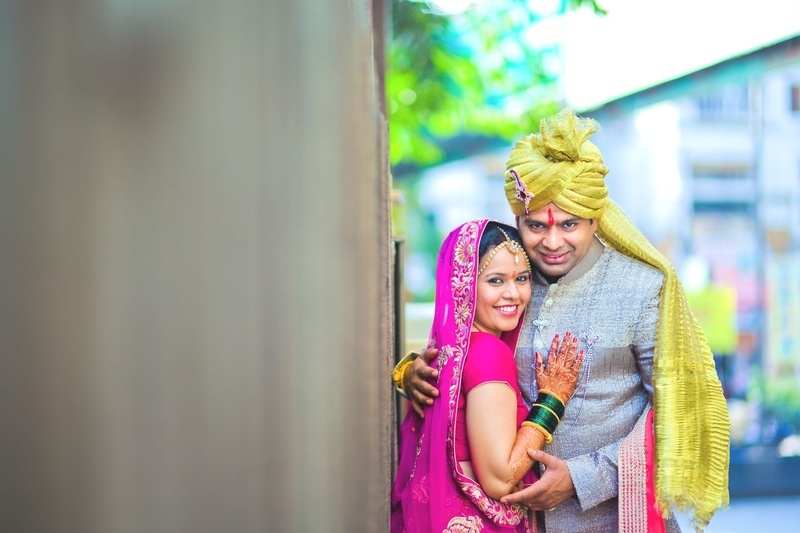 With fuchsia, baby pink, scarlet red, black and white, tangerine orange, pineapple yellow and many more spectacular shades of various colours around, Purvi and Stimit’s wedding became a coruscating kaleidoscope of vibrant colours. 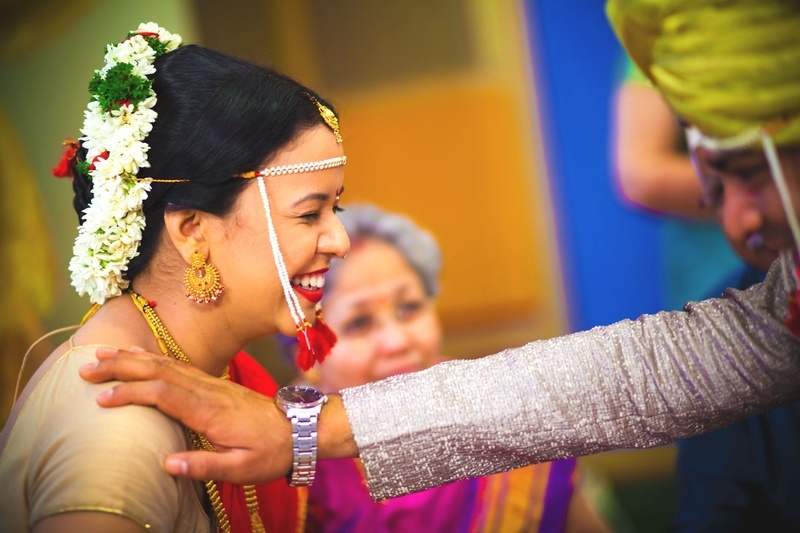 At no point this wedding looked like a Maharashtrian marriage ceremony, except for the Antarpat ritual. 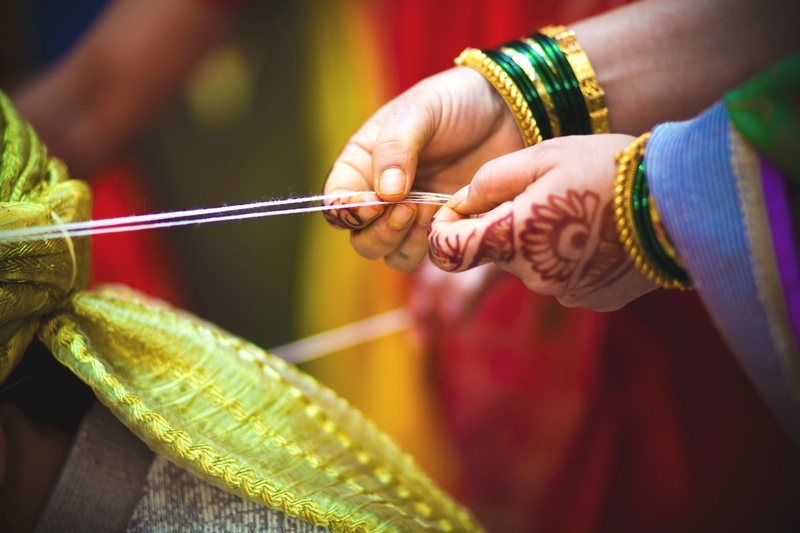 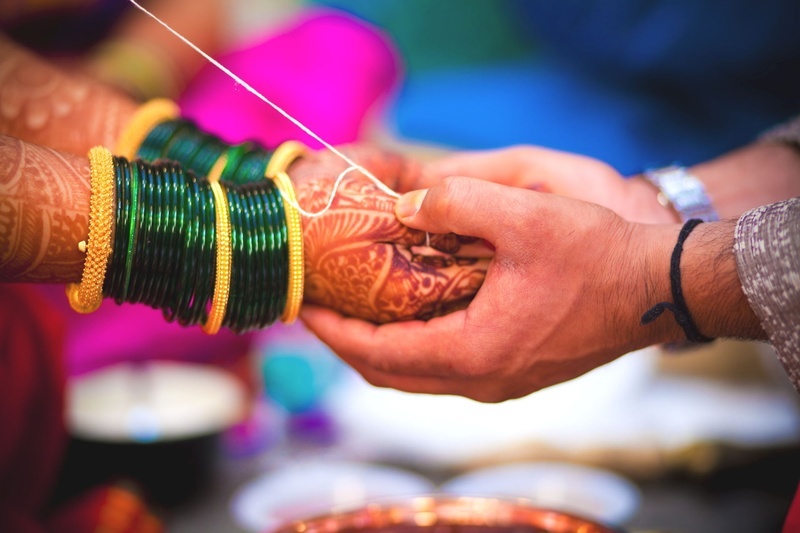 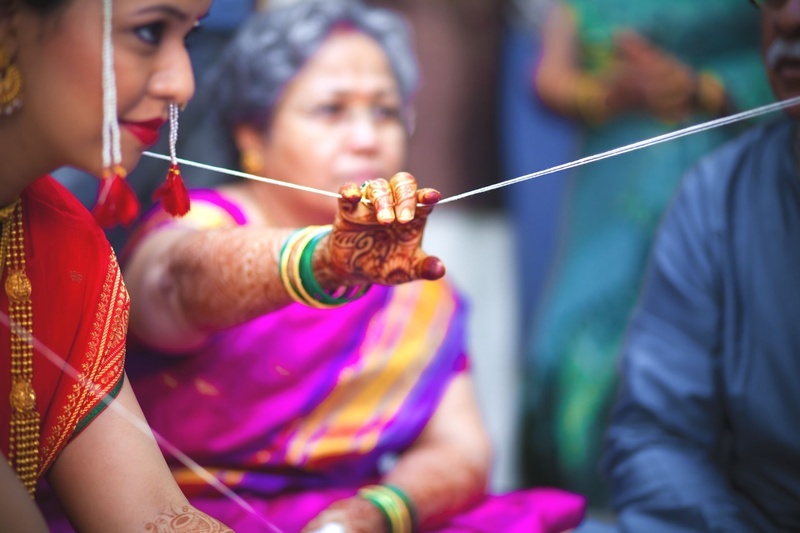 Even the ritual was performed a little differently, with threads that were held around the bride and groom by their family members. 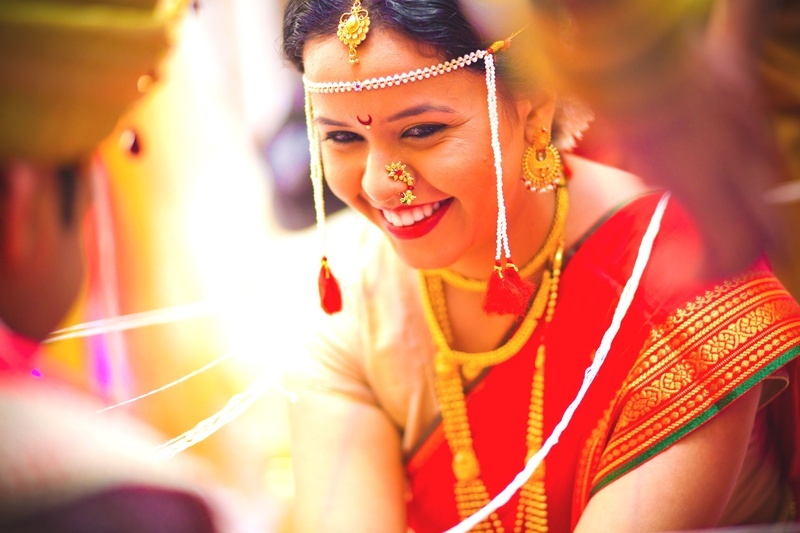 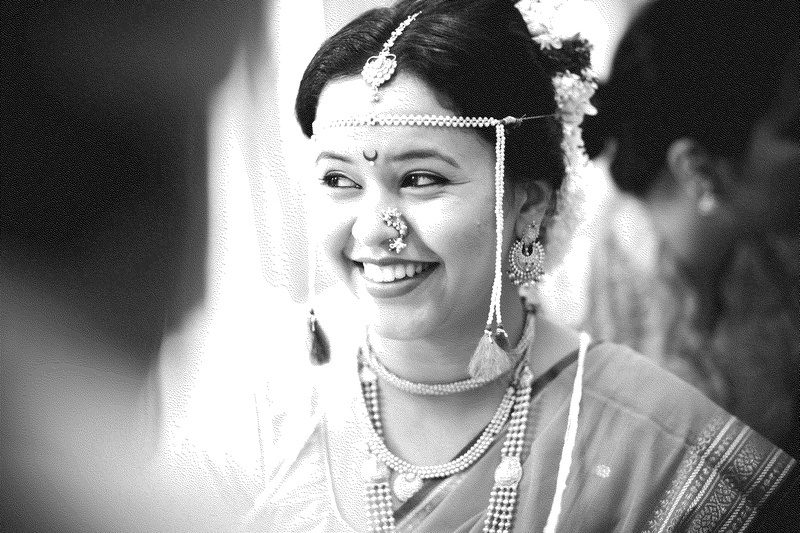 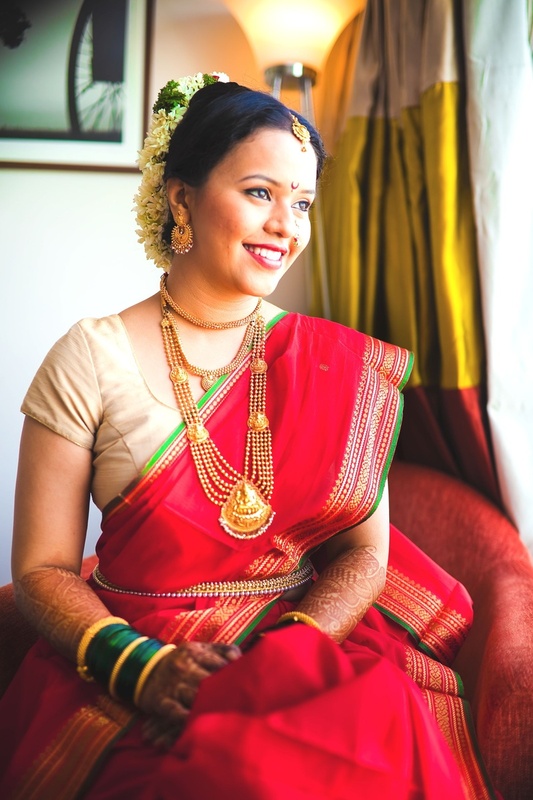 Tiny jewelleries, light make-up, ethnic saree and a moon-like bindi gave Purvi a cute look. 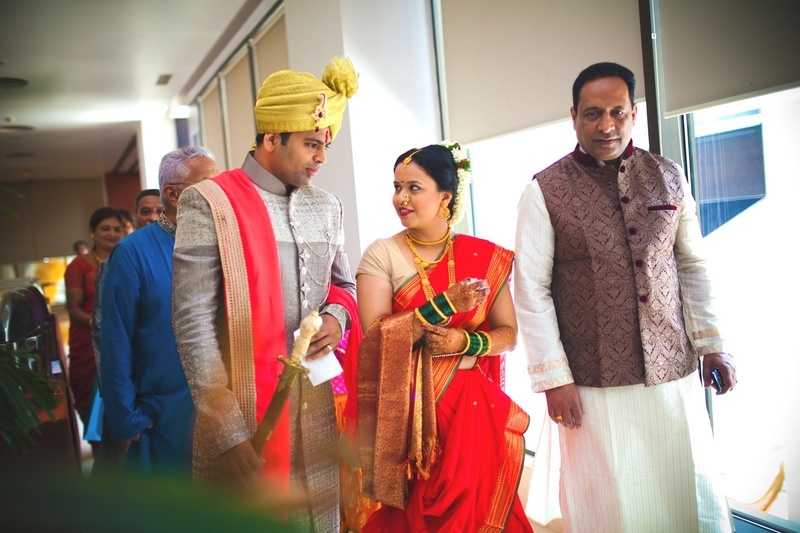 Stimit looked dashing in a stone shaded shervani that was paired with an awesome safa. 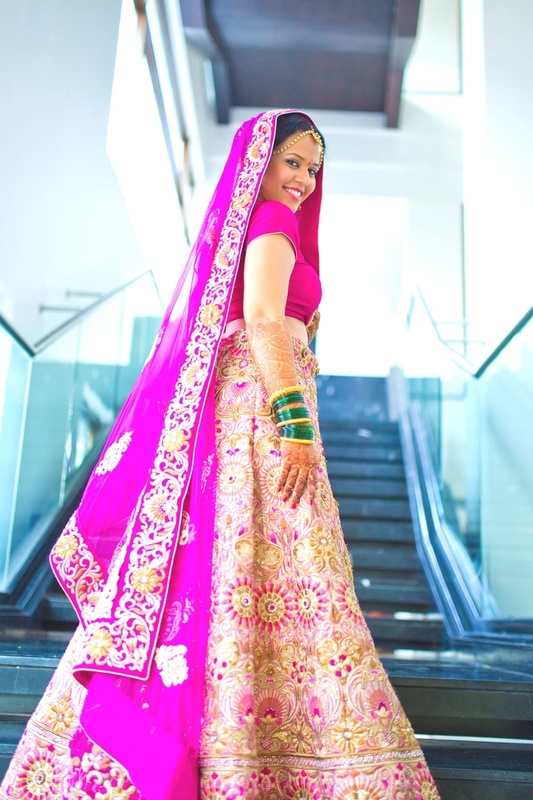 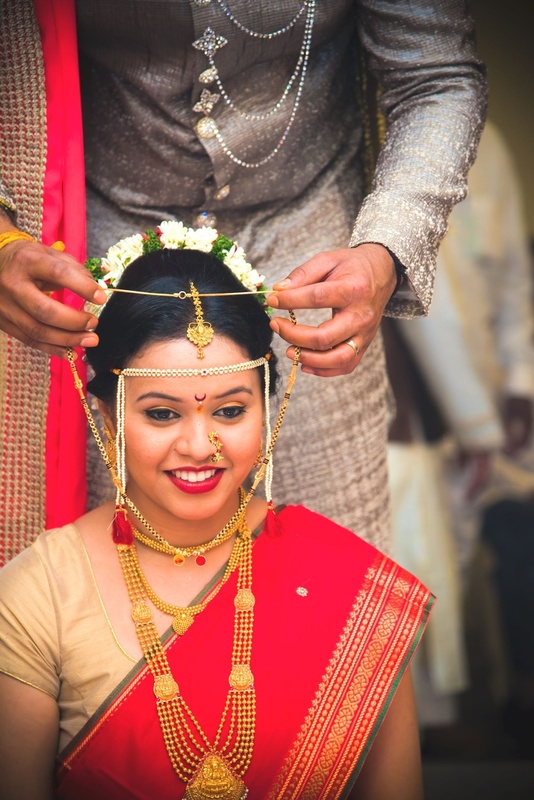 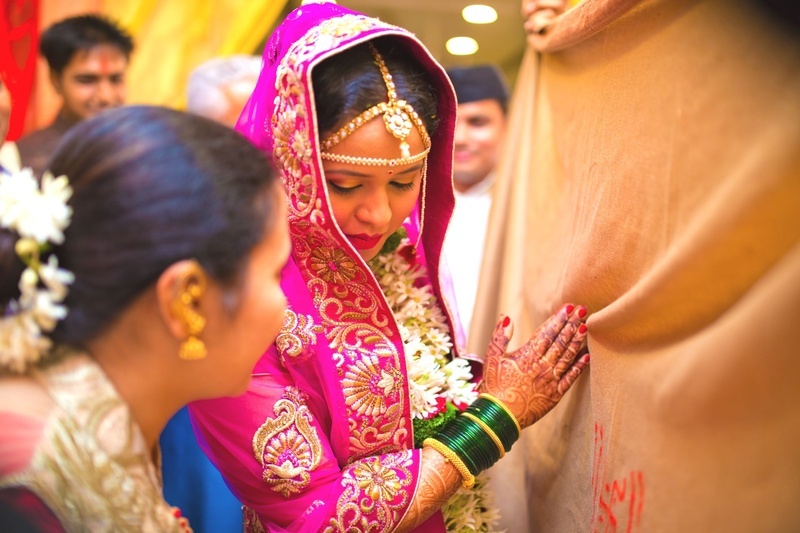 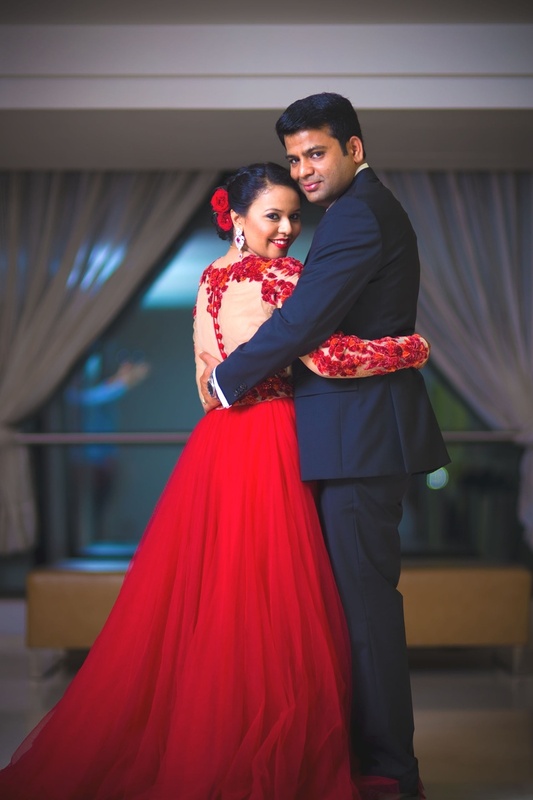 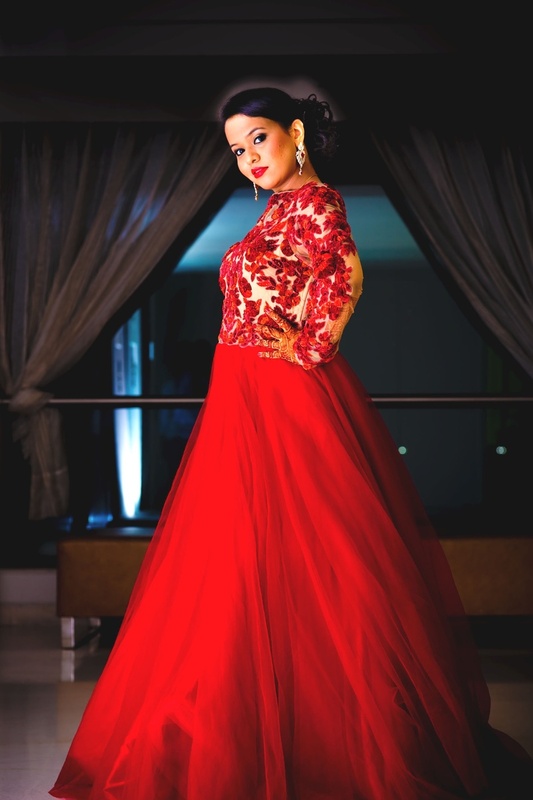 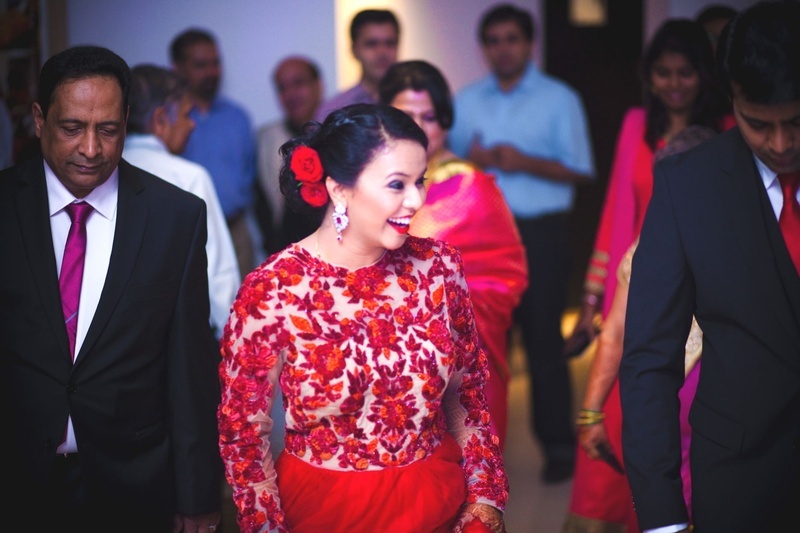 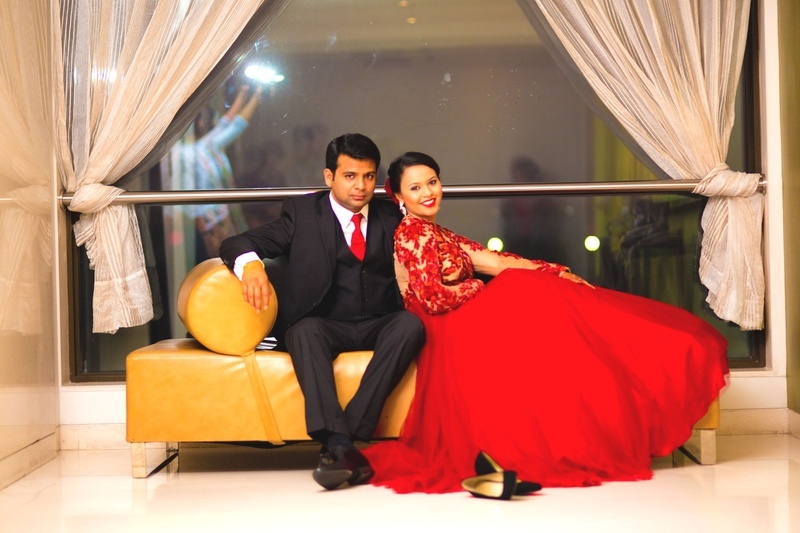 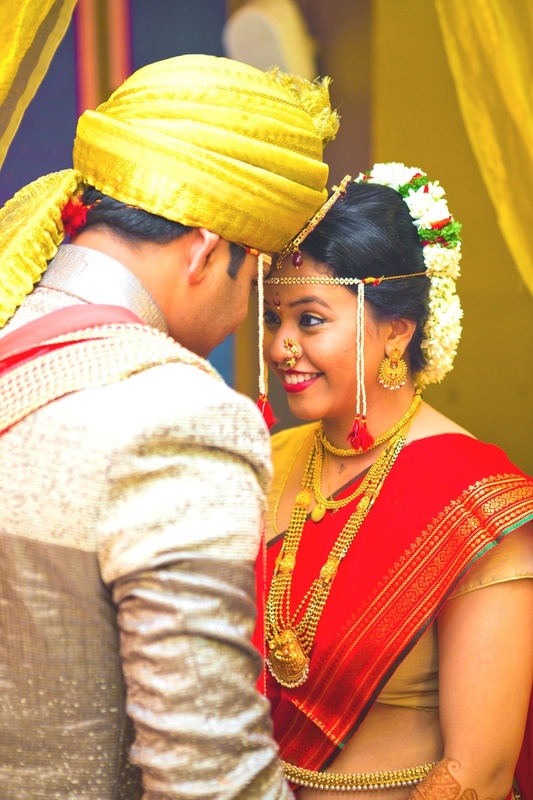 The bride’s exceptionally designed lehenga and a blood red cocktail gown proved that the magic behind a perfect wedding outfit is a perfect fit. 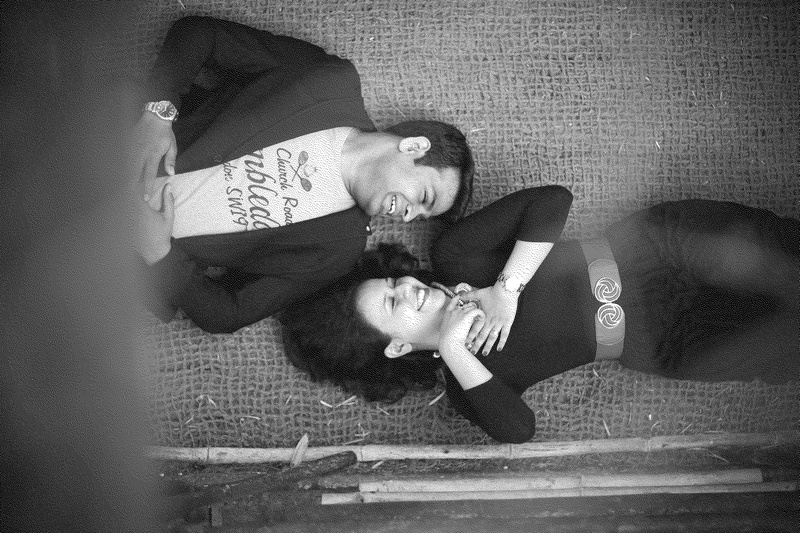 Their outdoor snaps were taken at numerous locations. 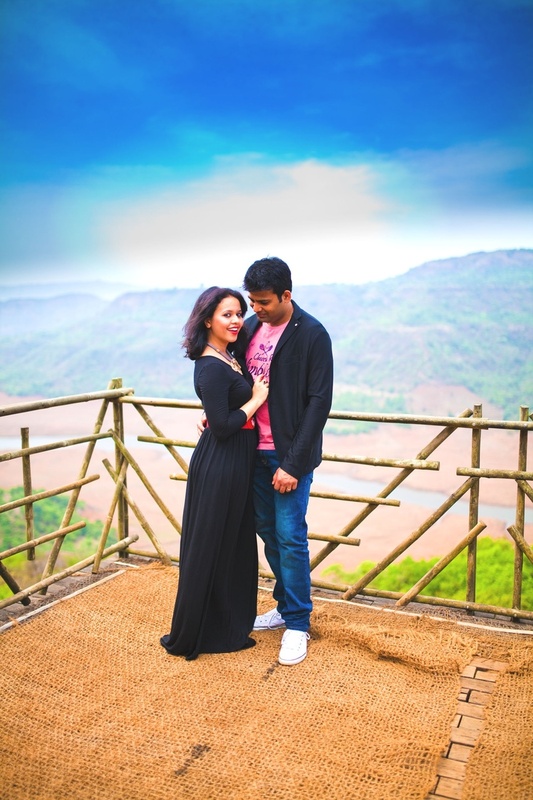 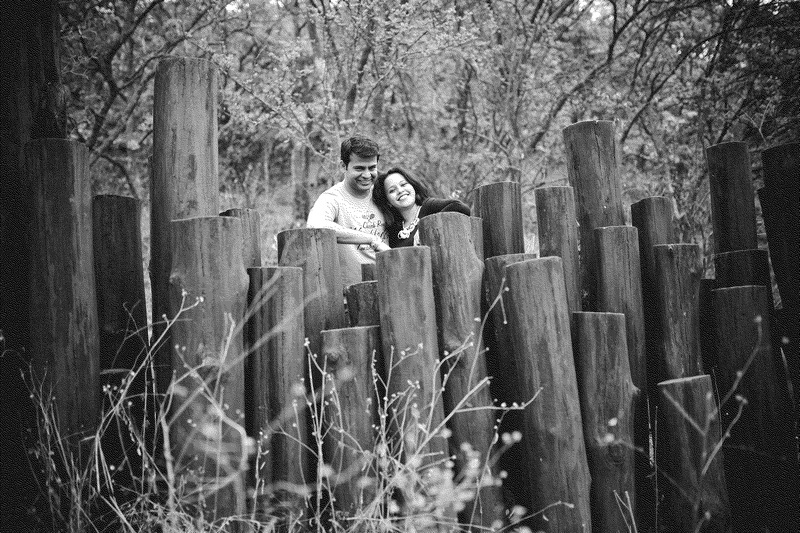 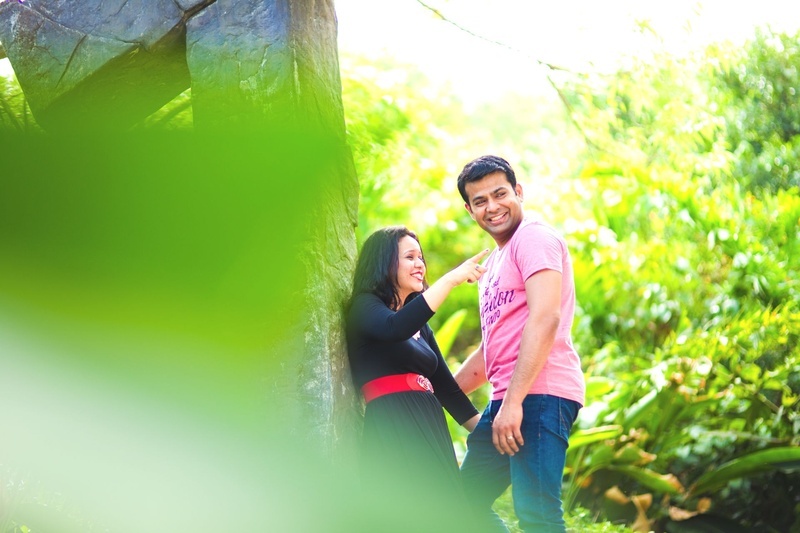 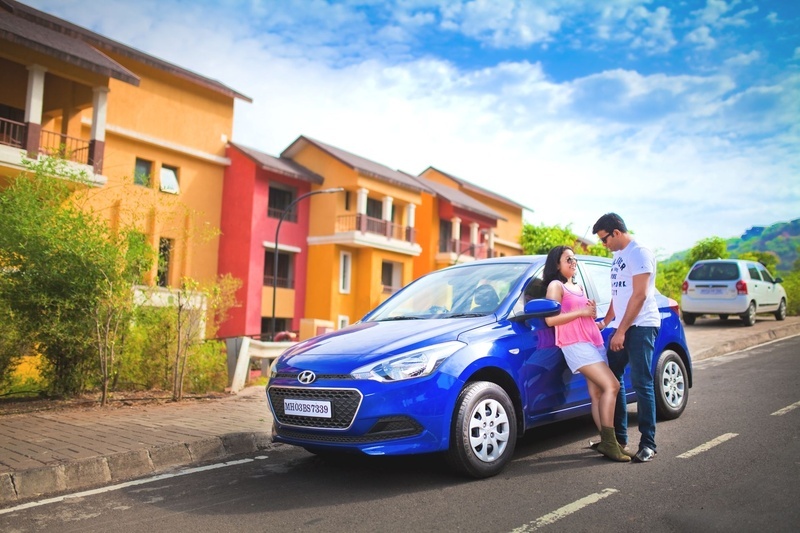 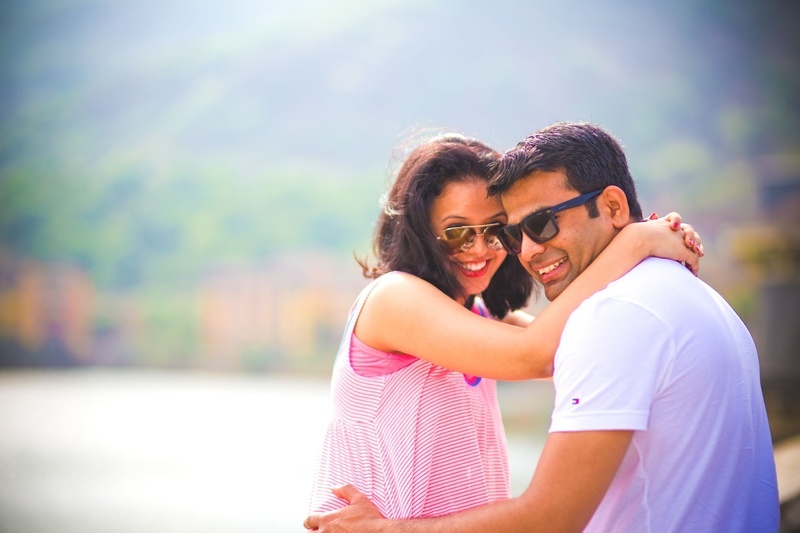 The bride and groom went casual for their adventurous photoshoot sessions.